Hot on the heels of winning the inaugural award for “Best Use of MarTech for Employee Engagement” at the B2B MarTech Awards last month for our work with Baker Tilly, Brandworkz are thrilled to announce that we’ve been shortlisted for 5 (yes, 5!) awards at the Internal Communication and Engagement Awards in May! 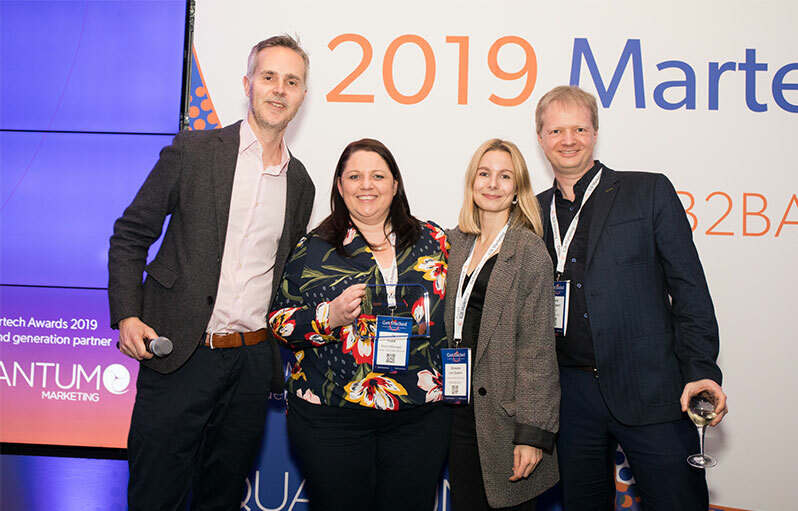 We were delighted that the B2B Marketing win recognised the Baker Tilly team’s outstanding achievement in engaging teams across the world to unite under one new global name and global identity. Brandworkz were privileged to play our part in that process, with the Brandworkz platform underpinning not just the new brand roll-out in record time, but facilitating significantly increased collaboration across marketing and other teams worldwide. Brandworkz Founder and CEO, Jens Lundgaard, had this to say about the victory: “I am very proud to accept this award alongside Baker Tilly. They obviously put a huge amount of time, investment and effort into their rebrand. We are delighted that Brandworkz was used to roll-out the new brand, get their members engaged with the new brand, and to ensure the rebrand was a success both in terms of consistency and ROI”. Our nominations at the Internal Communication and Engagement Awards also recognise the great work from Baker Tilly and the team in communicating the business transformation, as well as our work with global charity Action Against Hunger in helping to cross national boundaries and drive crucial efficiencies through implementing the Brandworkz solution. We’ve got our fingers and toes crossed, so watch this space for more! !